Situated in the business district, this eco-friendly hotel is 1 mi (1.6 km) from Wayne Gretzky Sports Centre and within 3 mi (5 km) of Sanderson Centre for the Performing Arts and Myrtleville House Museum. Bell Homestead National Historic Site is 5.3 mi (8.6 km) away. 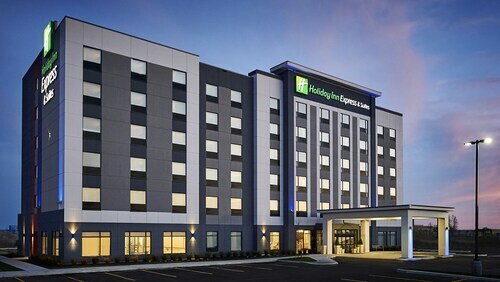 This family-friendly Brantford hotel is located near the airport, within 2 mi (3 km) of Arrowdale Municipal Golf Course, Personal Computer Museum, and Wayne Gretzky Sports Centre. Market Square Mall and Brant County Museum & Archives are also within 3 mi (5 km). 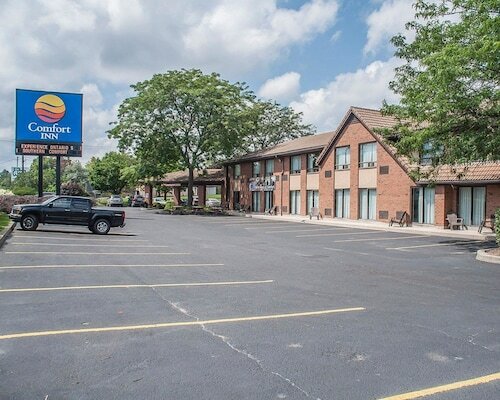 Situated in Brantford, this hotel is 2.7 mi (4.4 km) from Arrowdale Municipal Golf Course and 3 mi (4.9 km) from Wayne Gretzky Sports Centre. Sanderson Centre for the Performing Arts and Woodland Cultural Centre are also within 6 mi (10 km). How Much is a Hotel Room in Hagersville? 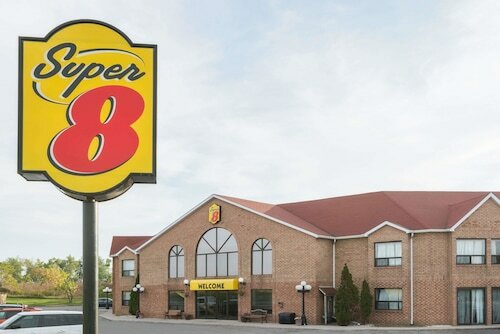 Hotels in Hagersville start at C$81 per night. Prices and availability subject to change. Additional terms may apply. Pack your bags—it’s time to embark on a getaway. 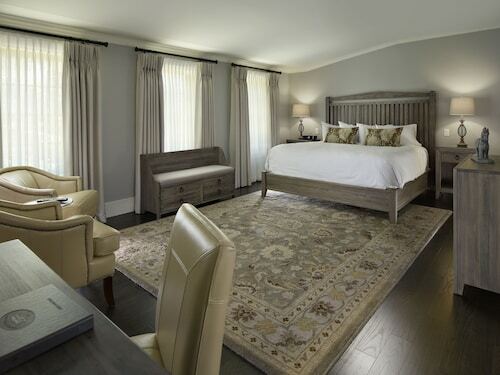 Whether you’re craving a solo retreat or promising your family a vacation to remember, book one of the best hotels in Hagersville. These hotels are located within easy access of the city’s hottest attractions and entertainment, so you won’t miss a beat while you’re in town. Spend the days exploring the local landmarks and the evenings getting to know the nightlife. After exploring the city from top to bottom, rest up at a hotel that speaks to you. Find the perfect place that matches your trip’s vibe, from a trendy boutique to family-friendly accommodations. Allow us here at Travelocity to pair you with up Hagersville hotels that suit your vacation preferences. Discover places with convenient on-site restaurants, around-the-clock service, and pools where your kids can make a splash. Some hotels may boast fitness rooms and spa services, while others feature game rooms and Wi-Fi access. To top it all off, you’ll score cheap hotels in Hagersville that let you spend more on your activities and less on your lodging. Book and bundle your flight and hotel deals together today and save up to $537. It’s time to explore a new city, and break out of your routine. If you are on a budget this place will prob be good enough. The hotel sheets are see through from being worn out. The toilet had urine by the base area. Everything was rusted and just dingy. The good thing about this place was the staff. They were awesome and friendly. 5.0 Nice hotel during photography trip! I am giving this hotel 5 stars for one reason only: the evening desk lady, Jo (hope that is how she spells her name). She is the type of employee that any company would want to have. She answered all my questions and sometimes even went to look up info that she didn't know or had forgotten. She gathered up about 6 menus from local restaurants for me to look at one night for my dinner. She was the nicest lady and truly wanted to help out/answer questions/give me a good experience at the hotel. Upon arrival she gave me the room key and then told me where to park my car. Once I had parked (directly outside the sliding doors to the room) I looked up to see she had walked down to the room and had opened the sliding doors so that I could get my possessions unloaded without having to walk back and forth. This helped immensely!! The hotel itself was a solid 4. Clean room, two double beds, fridge, microwave, desk w/chair and tv. Bathroom was clean with included free toiletries. Nothing special but not lacking anything either. I would definitely stay here again when in town and would definitely recommend to others. I truly believe Jo should get a raise for her work performance and customer service attitude. Employees like this are what make companies proud. I certainly hope she gets commendation for her work performance. I hope no one misunderstands and thinks the other employees weren't nice or professional. They were but went the extra mile!! Beautiful, clean room. Quiet. Nice restaurant. Pork medallions were amazing!! Very friendly, helpful staff. 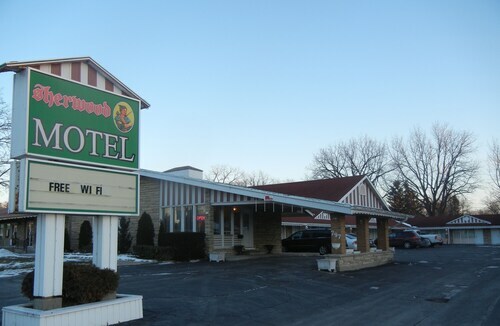 This is a good basic hotel with very comfortable beds and very friendly staff.